People use them for controlling layouts when their are intended only for displaying data. They are not very user-friendly for your average content editor. And, I'm not the only person with this opinion. Redactor, the crazy-awesome rich text field editor that Craft CMS uses, recently stopped including the table button in its essential editing tools. While there are ways to add this button back, I believed that there had to be an easier way. Adding, and editing tables needed to be so user-friendly that no training would be required. The table needed to match the style of the site's custom design without any extra effort by the client. Enter the Matrix field by Craft CMS! 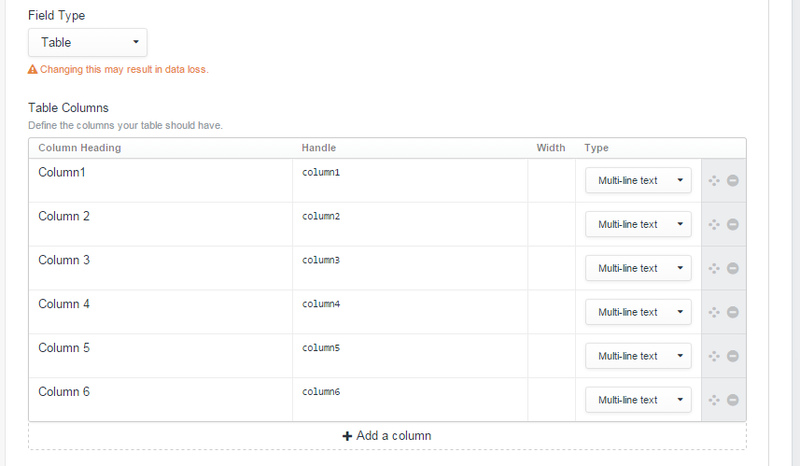 I was already using a Matrix field for what I called my Complex Content field to handle different kinds of content (i.e. images, paragraphs, headlines, quotes, etc) in what is called longform or modular content editing. See this video for a quick preview of what I'm talking about. So, the logical next step was to create a Table block inside my Matrix field. 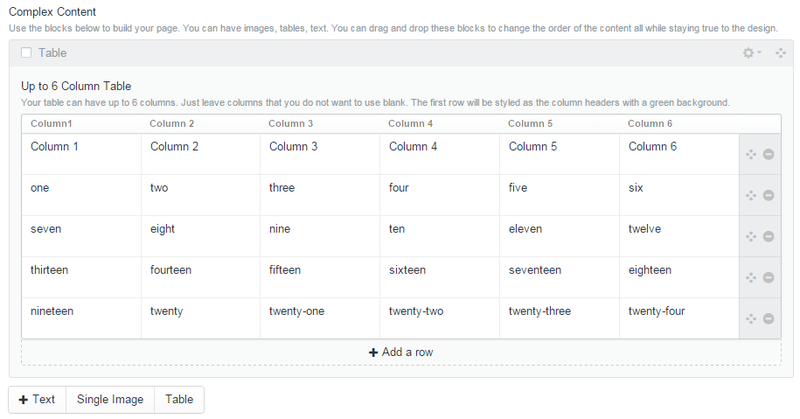 For the field's instructions, I noted that the first row would be what is actually used for the column headers when the table is seen on the site. Twig's slice filter allows me to only show the first row as table headers and the rest as normal table content. If our client only wants a three column table instead, all they have to do is leave the last three columns blank. The table is still output correctly since we are checking the length of a cell's content before hand. This setup gives the client a lot of freedom all while keeping the table easy to use and true to the site's design! No more looking at code or even short code. No more having to know what class to apply to the table. No more frustrated clients! I would love to hear your thoughts on this approach! I think my next step will be to optimize the code a little by using the Craft cache tag.